This round table is sustained in the center. 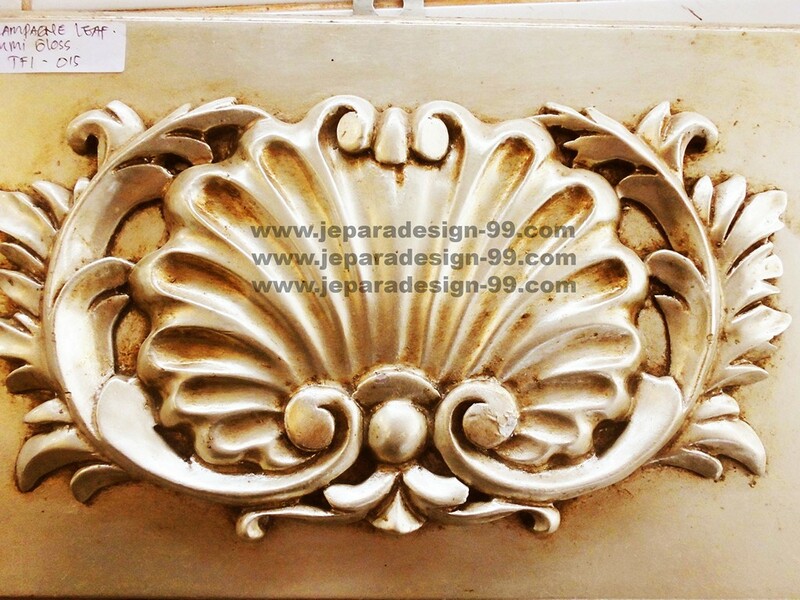 We hardly embellished the edge of the top part and the legs with hand-carved floral pattern carving. To make sure it's sturdy and durable, we used selected kiln-dried Mahogany to make it. We made modification of one of our dining table models. 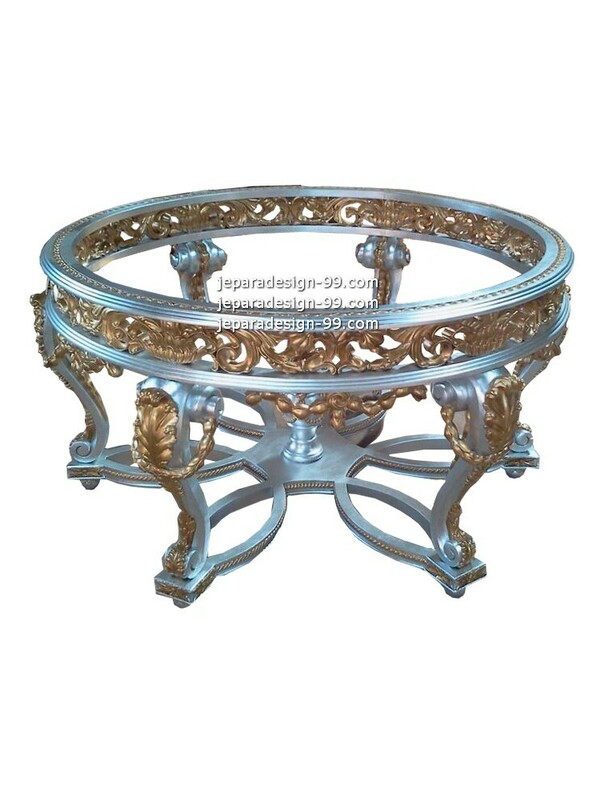 In this round table we add small round rotating part. 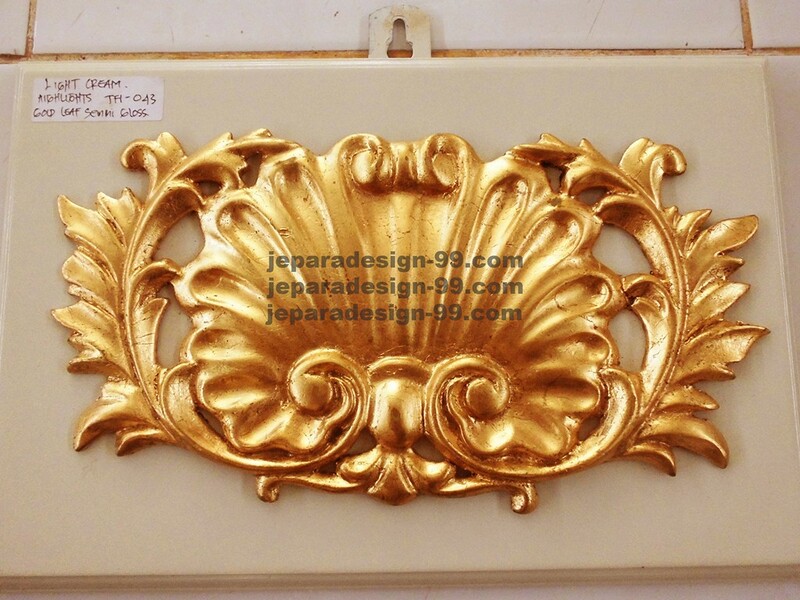 This fully carved classic dining table will be awesome to be placed in a classical dining room to add a luxurious accent. 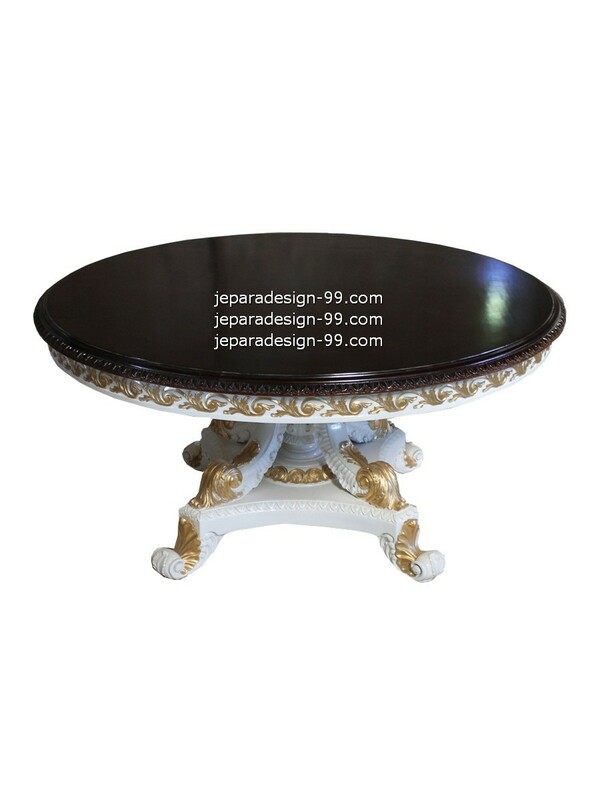 In this classic dining table, white color looks suit for highlighting the golden floral carving. The top part of the table was colored in black. 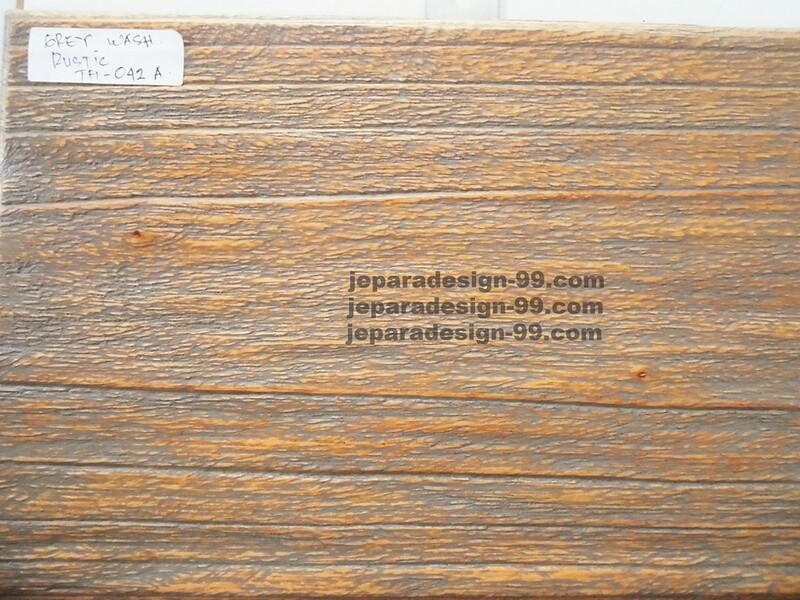 This combination color is an alternative to give you idea of furniture finishing. 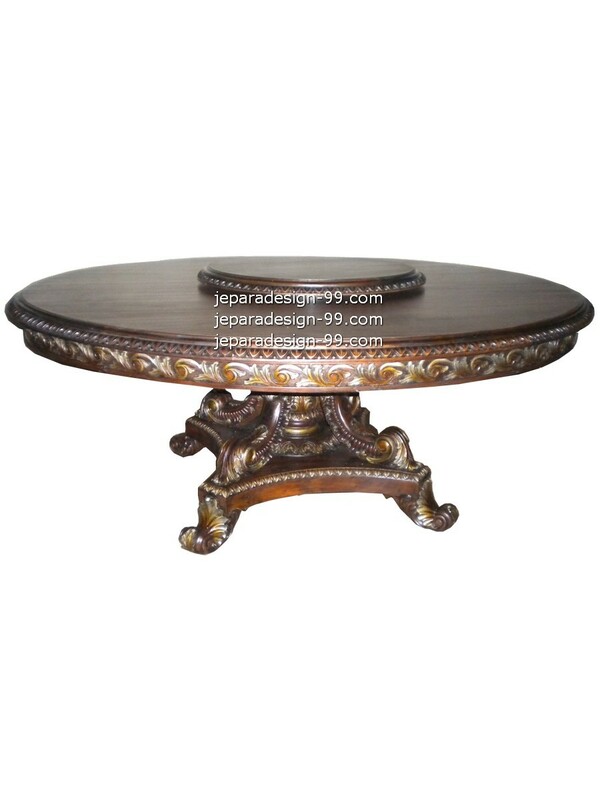 You can choose other finishing color for this round table made of sturdy kiln-dried Mahogany. 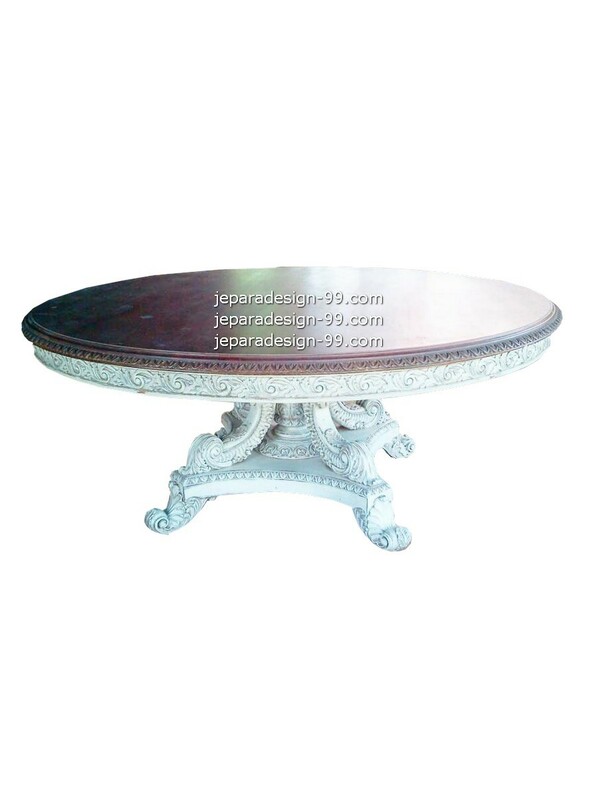 An antique round dining table is suitable to beautify your classic dining room. 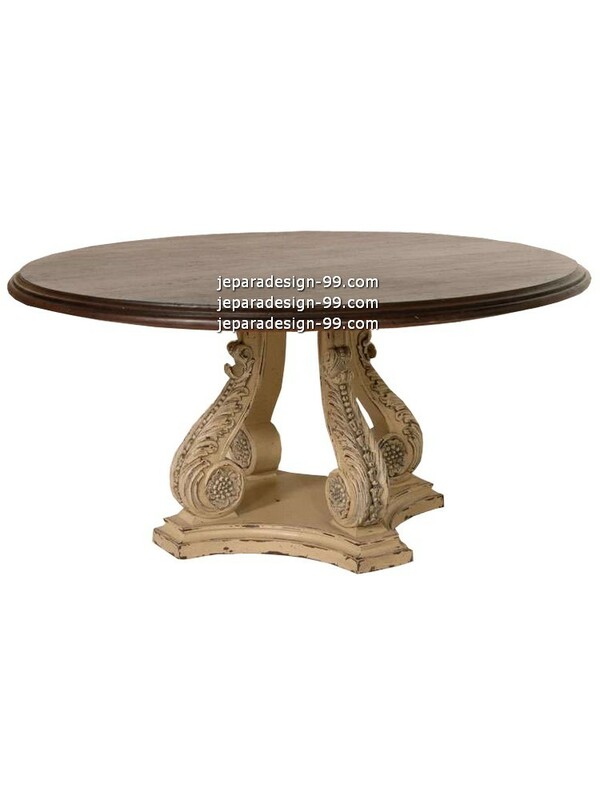 The four carved legs were finished using beige with distress effect to emphasize the antique accent. 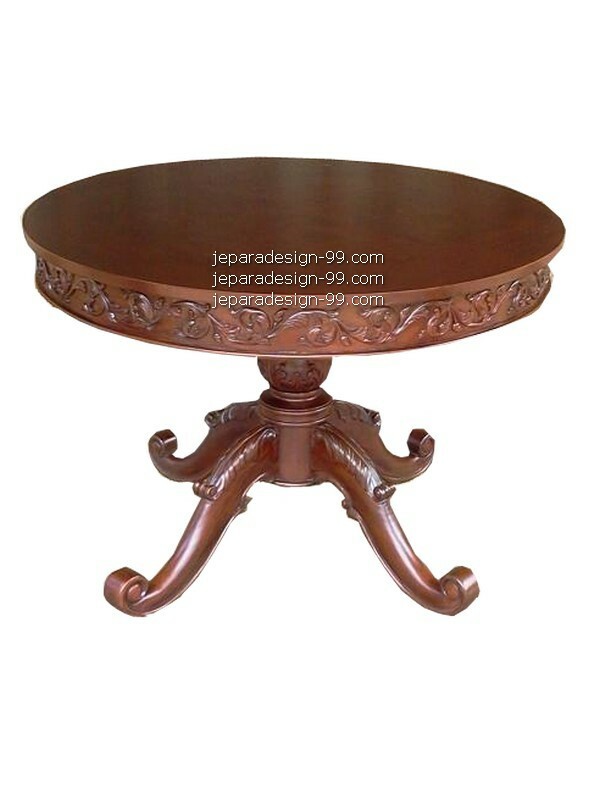 This dining table has rounded top embellished with floral carving around its edge. It is sustained in the center and has four curved legs below to make it's sturdy. 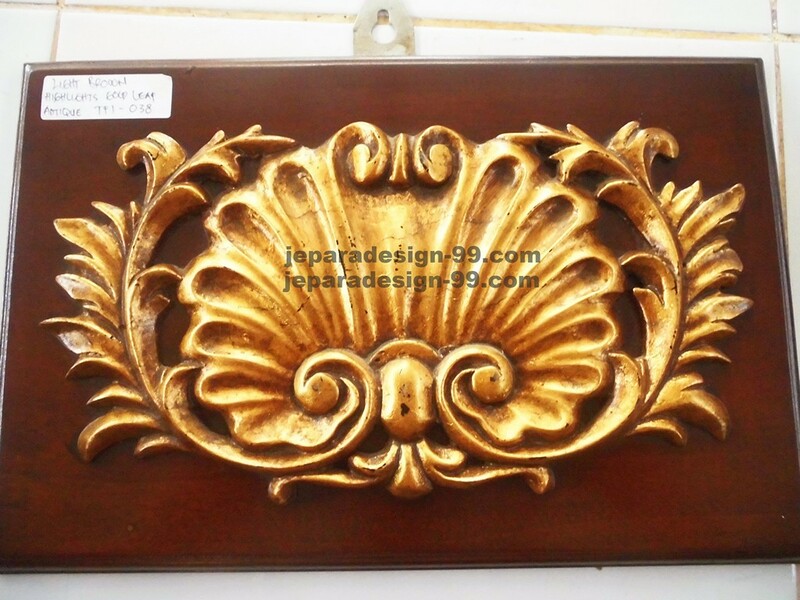 And we chose brown to paint it in order to emphasize the classical accent and easier to match with interior theme. 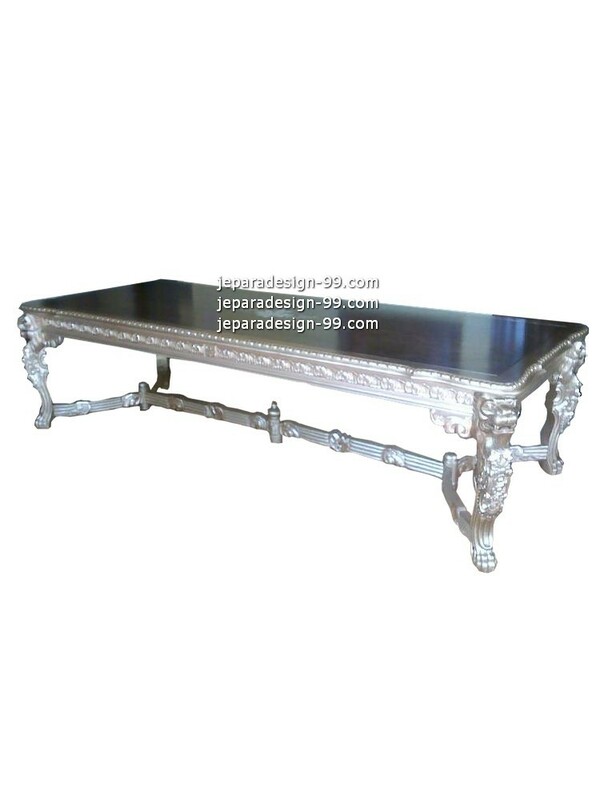 Rectangular dining table with incredible hand-carved carving, lion head on the top legs. 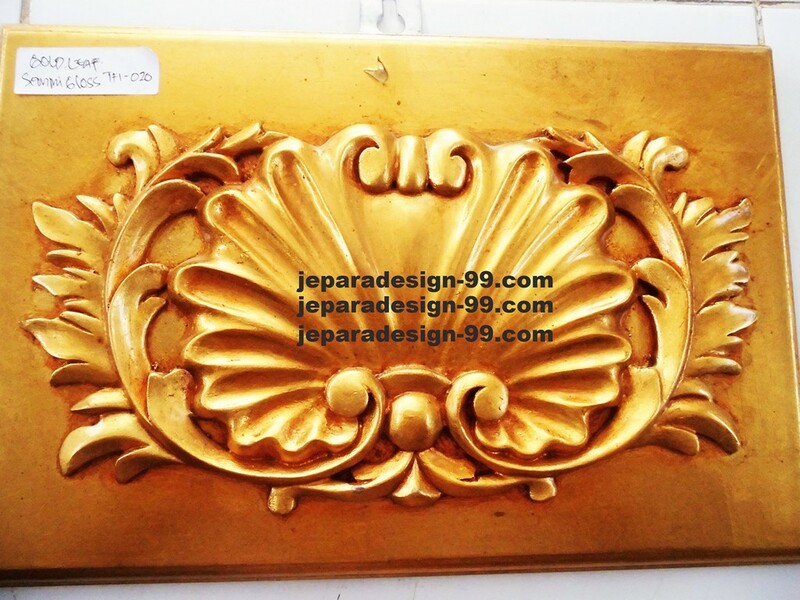 It comes with well finishing, smooth in detail and sturdy construction. We used well selected kiln-dried mahogany to make it, so it will be sturdy for daily use. 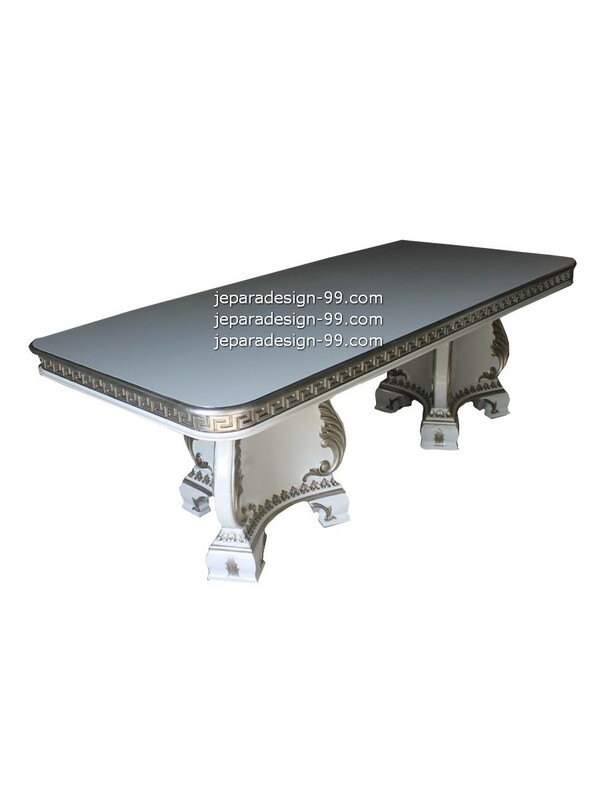 We present white and smooth rectangular dining table for your dining room. 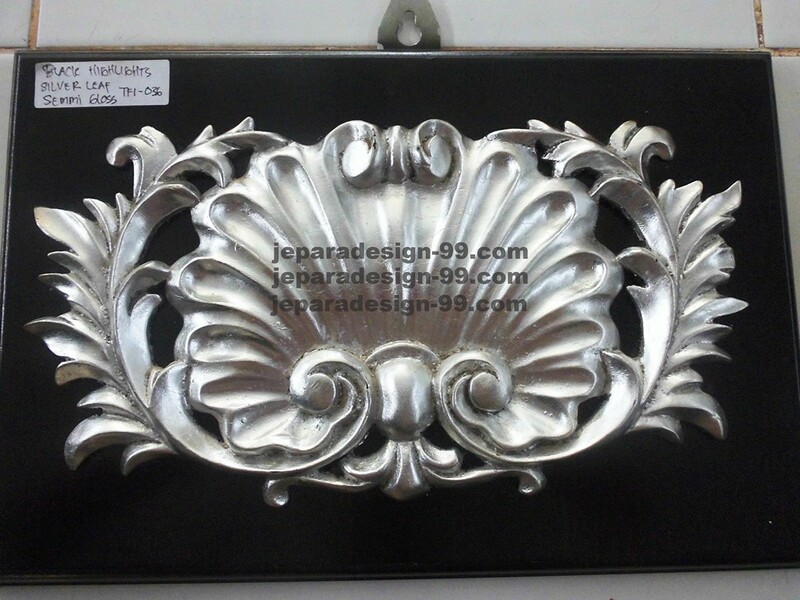 It was beautified with carving pattern at the edge of the top part and also around the legs. 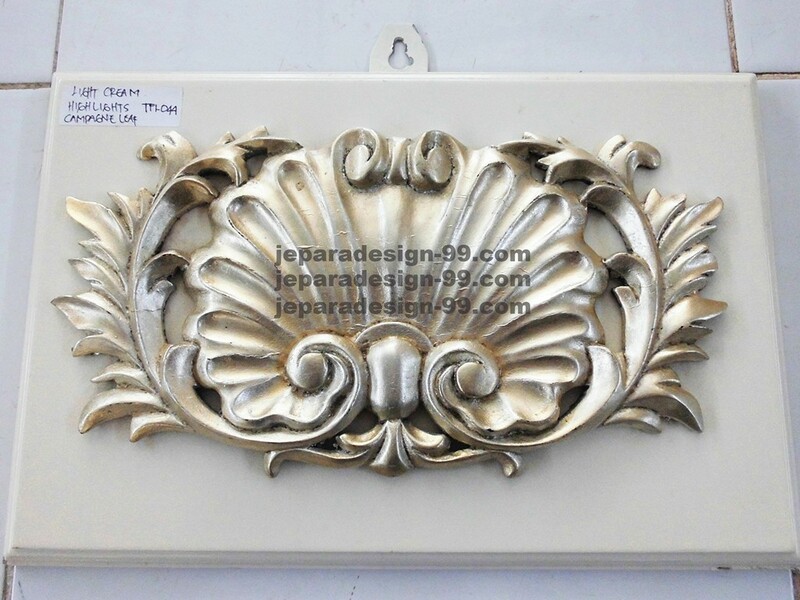 The carving was painted with silver and highlighted with white. 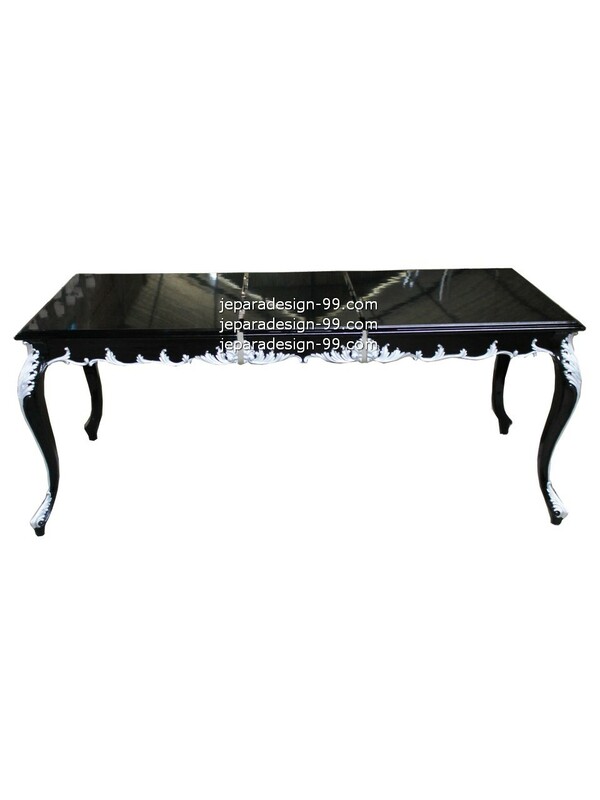 A black glossy rectangular dining table has a simple shape and cabriole. 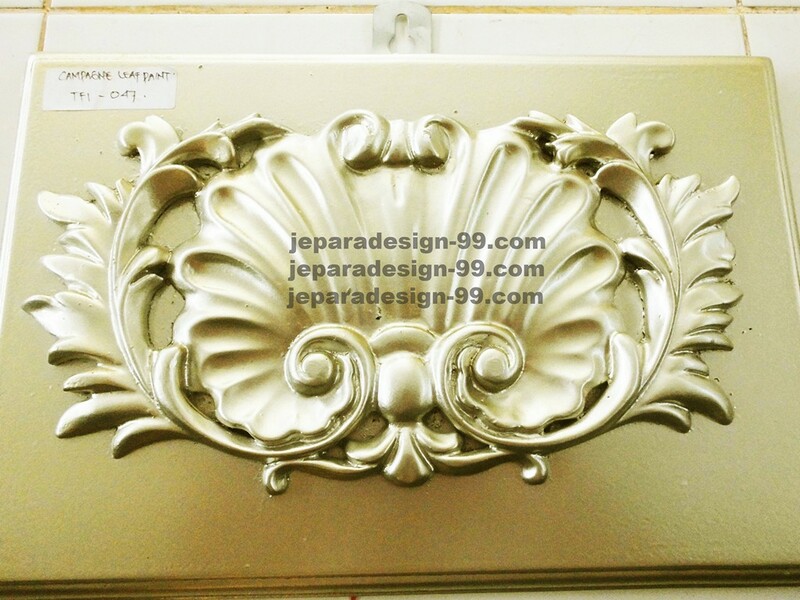 We embellished the edge of the legs with leaf carving that were painted with white. A contrast color combination that looks awesome on this furniture. 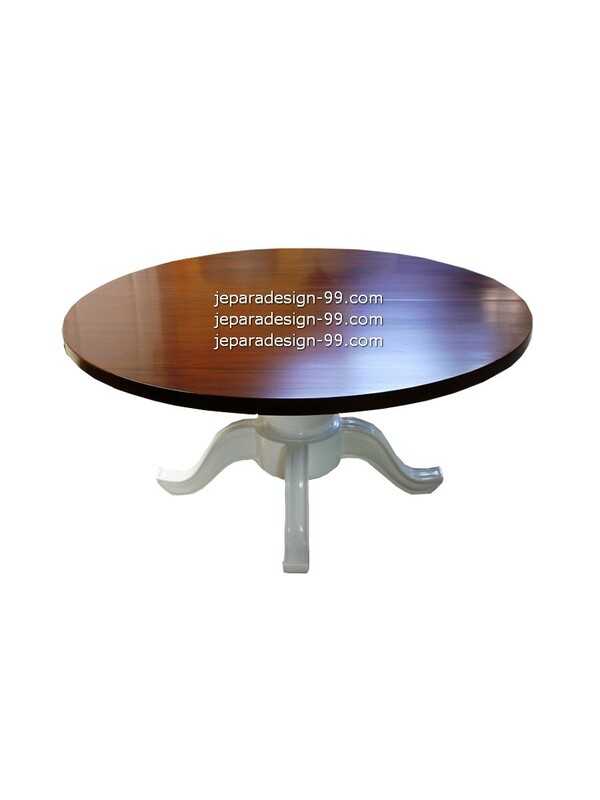 This classic dining round table has an extension, so if it's needed this dining table can be widened. The design has rounded as the basic shape, and it is sustained in the center. We have calculated the construction well, for sure it will sturdy for daily use.